Blair Peach funeral. Southall west London 1979. 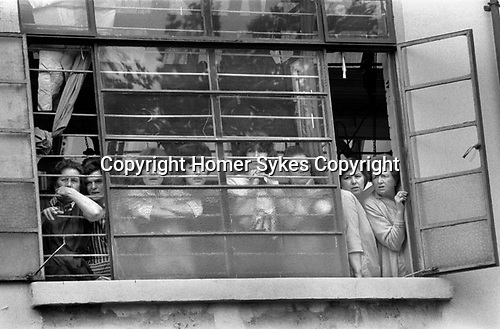 Factory workers crowd the windows of their work place to watch the funeral cortege.